A new review of studies from around the world finds young people who have greater exposure to alcohol marketing appear to be more likely subsequently to initiate alcohol use and engage in binge and hazardous drinking. A new study finds a link between teens’ exposure to alcohol ads and how much of those brands they drink. A White House official said an ad intended to raise awareness of opioid-induced constipation, which aired during Sunday’s Super Bowl, could help fuel the opioid addiction crisis, according to USA Today. Seven in 10 teens are exposed to e-cigarette ads, according to a new report by the Centers for Disease Control and Prevention. Teens see the ads on TV, in print, online and at retail outlets. The American Medical Association this week called for an end to direct-to-consumer advertising for prescription drugs and implantable medical devices, according to CBS News. The ads contribute to increasing costs, and lead to patient demand for inappropriate treatment, the group says. A new report published online in the American Journal of Drug and Alcohol Abuse shows that overall exposure to brand-specific alcohol advertising is a significant predictor of underage youth alcohol brand consumption, with young people ages 13-20 more likely to consume brands of alcohol that they have seen advertised. Viewing ads for medical marijuana may influence middle school students to use the drug, a new study suggests. A marijuana advocacy group is planning to launch an ad campaign in Colorado to counter the state’s marijuana education effort, ABC News reports. Alcohol ads that tell people to ‘drink responsibly’ don’t explain how to do so, a new study concludes. Instead, the ads tend to glamorize the products they are selling, according to researchers from the Johns Hopkins Bloomberg School of Public Health. A new ad campaign warns teenagers in Colorado about the long-term effects of marijuana use. The “Don’t Be a Lab Rat” campaign targets 12- to 15-year-olds, Reuters reports. The top alcohol brands consumed by underage drinkers are the same ones most heavily advertised in magazines read by those under age 21, a new study finds. The researchers say their findings suggest alcohol ads can encourage young people to drink, HealthDay reports. Teens ages 12 to 17 were exposed to many new e-cigarette television ads between 2011 and 2013, a new study finds. Young people in this age group experienced a 256 percent jump in exposure to the ads during those years, according to NBC News. E-cigarette makers are targeting young people with free samples distributed at music and sporting events, according to an investigation by 11 Democratic members of the U.S. House and Senate. The companies are also running radio and television ads during programs aimed at young people, the lawmakers said. E-cigarette companies are using celebrities in ads and flavorings in their products to appeal to new customers, USA Today reports. Unlike regular cigarettes, the marketing of e-cigarettes is not currently regulated by the Food and Drug Administration. Tobacco companies, which have been banned from targeting children and teens in the United States, are focusing on young people in the developing world, according to Scientific American. Tobacco companies are using marketing tactics for their e-cigarettes that are similar to the ones they have used for regular cigarettes, including sponsoring race cars, using cab-top and bus stop displays, and buying TV ad time to tell smokers to take back their freedom, the Associated Press reports. The number of tobacco ads preteens and teens are exposed to influences their risk of starting to smoke, a new study suggests. Researchers found for every 10 tobacco ads that they see, their risk of starting to smoke increases by almost 40 percent. A new study finds states that have more restrictive rules on youth access to tobacco also have lower rates of adult smoking. Tobacco companies are expected to spend millions of dollars on e-cigarette advertising this year, Ad Age reports. The U.S. market for e-cigarettes is projected to double this year, to about $1 billion. Health groups including the Campaign for Tobacco-Free Kids, Legacy and the American Heart Association are asking several attorneys general to investigate a new ad campaign for Camel Crush cigarettes. The groups say the ads target young people. The Centers for Disease Control and Prevention (CDC) has unveiled a new series of anti-smoking ads designed to appeal to people’s emotions. They follow anti-smoking ads released last year, which the CDC said had a strong impact across the country. 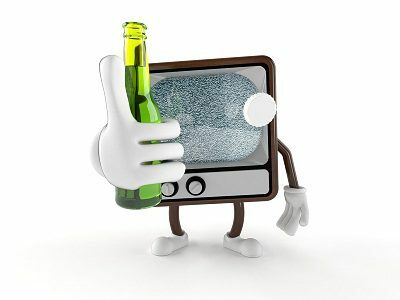 Young teens appear to be susceptible to the persuasive messages in television alcohol ads, a new study suggests. The ads influence some young teens to drink more and experience drinking-related problems later in adolescence, the researchers found. Marketers of e-cigarettes are introducing ad campaigns that borrow ideas from older cigarette commercials, The New York Times reports. The commercials have been accepted by several cable channels, but no broadcast networks have yet agreed to carry them. A new study suggests policies that ban tobacco-product displays at the point of sale may help reduce teen smoking.